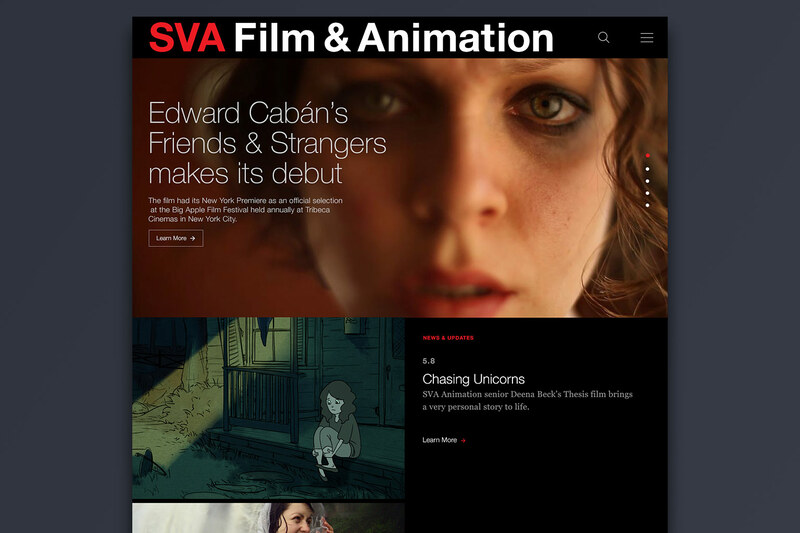 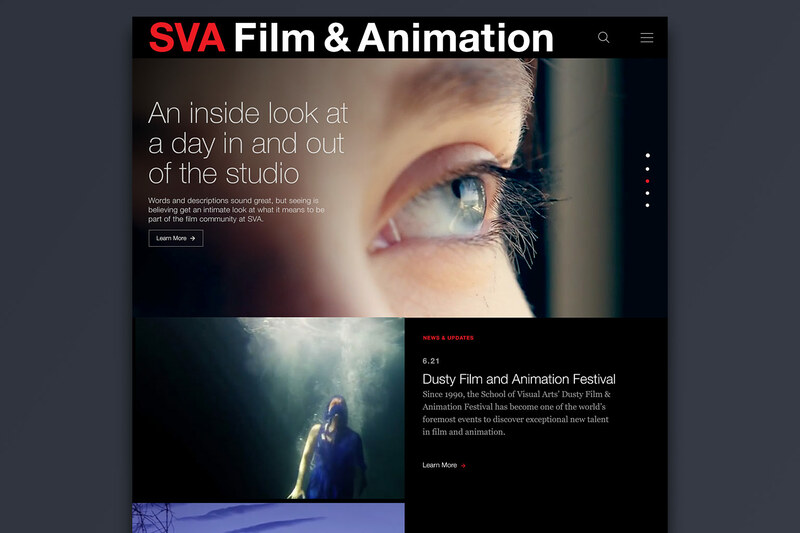 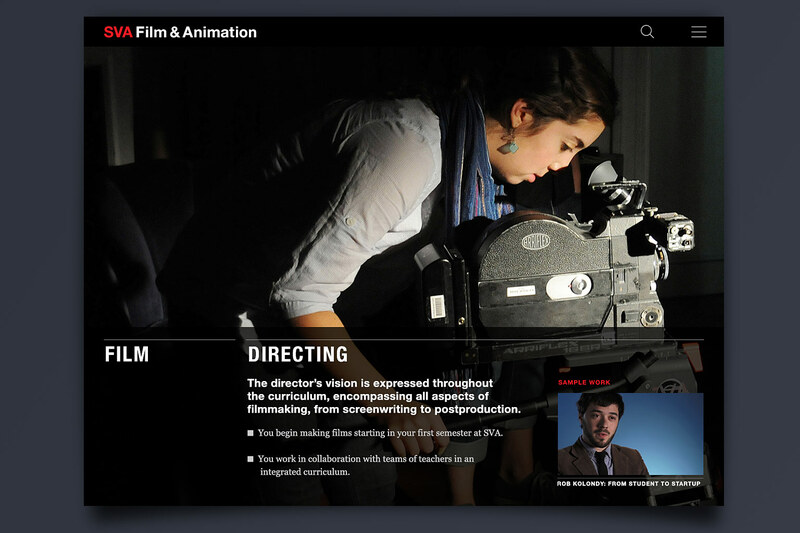 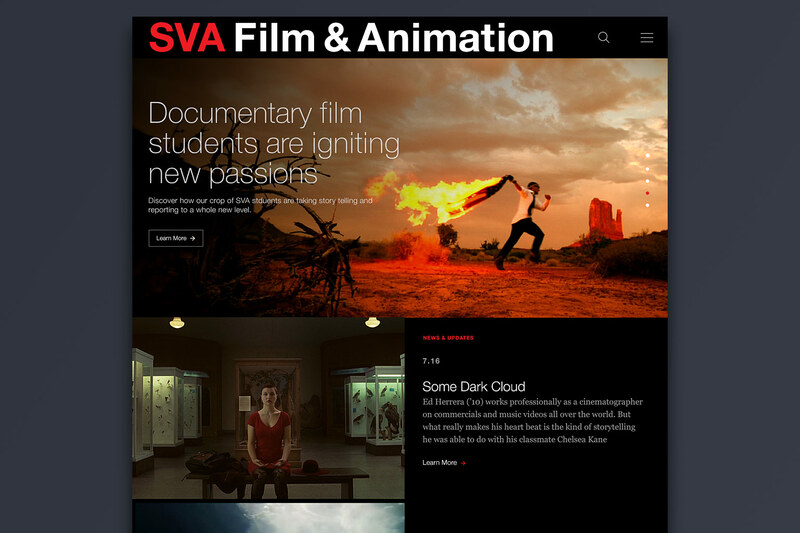 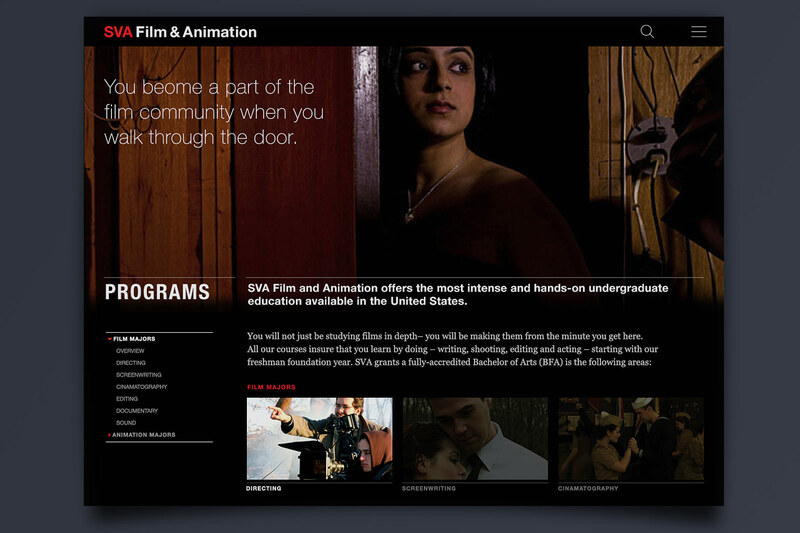 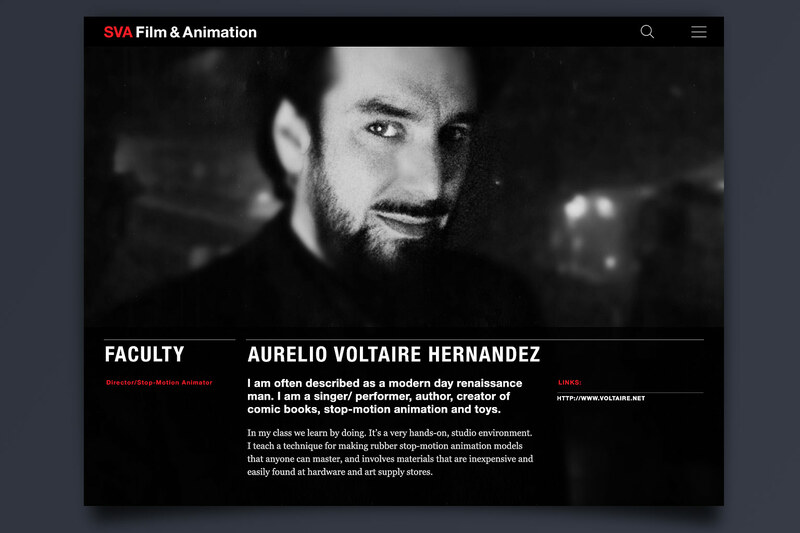 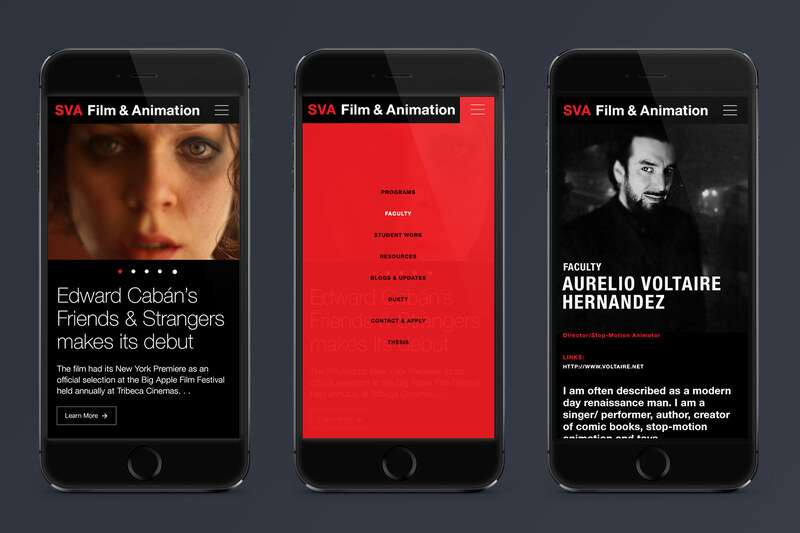 We helped the SVA Film and Animation department design and launch a cinematic, responsive microsite. 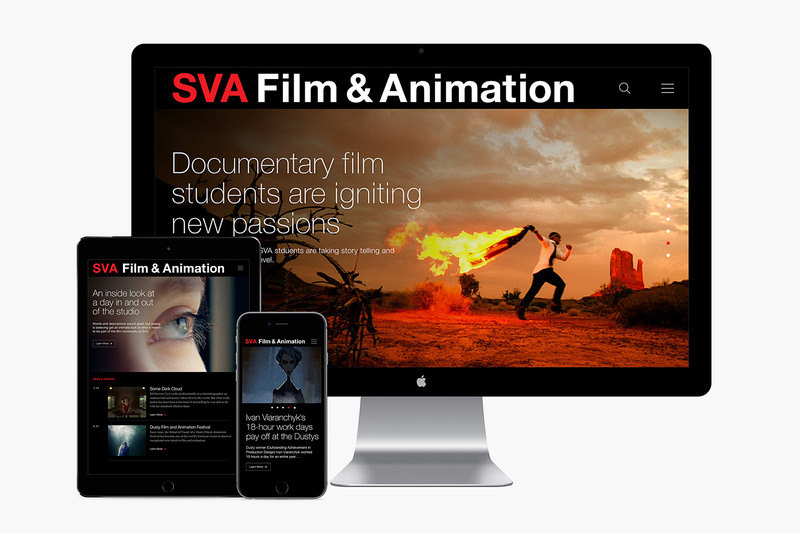 The site is structured around providing in-depth information about the program and showcasing the broad array of work and news, student and alumni updates as well as faculty and industry-related news. 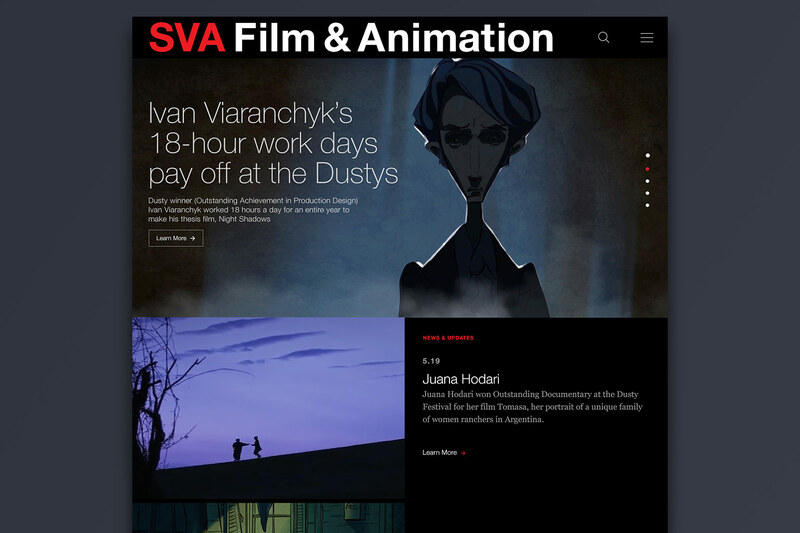 We kept the architecture and framework of the site simple to emphasize the beauty of the images in a large-scale format, which is further emphasized through the use of a dramatic dark palette.